Sometimes just one animal print isn't enough. 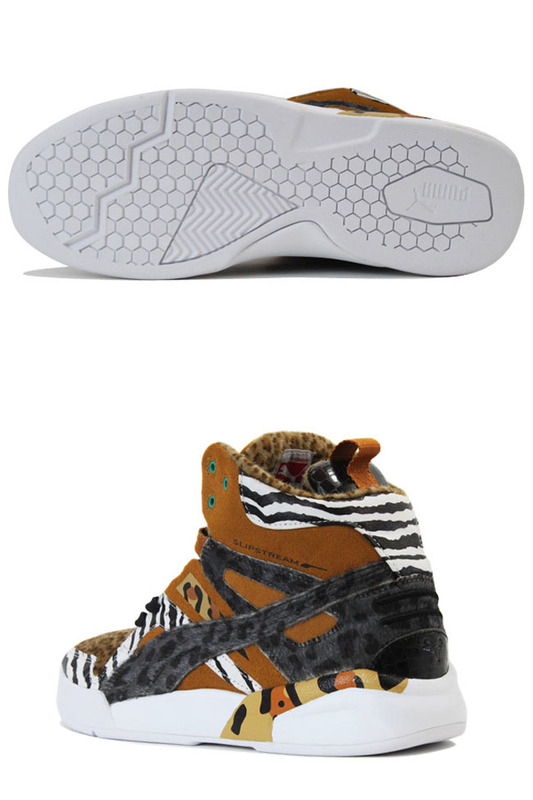 PUMA's latest Future Trinomic Slipstream Lite is taking the use of animal prints and textures to a level we've rarely seen. 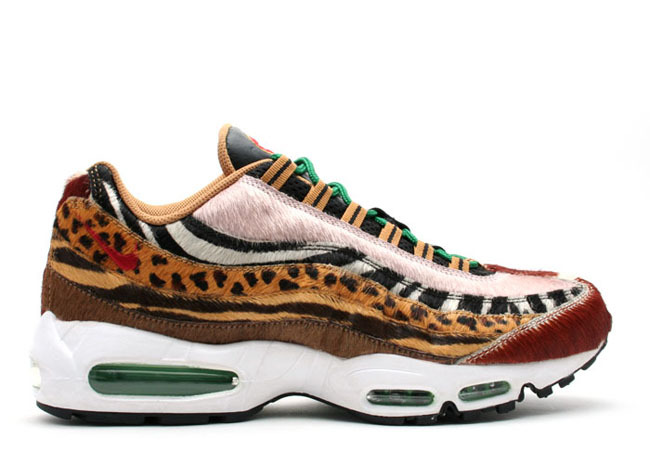 Possibly only rivaled by the "Animal Pack" Air Max 95 Supreme, this new sneaker features an upper print comprised by not only zebra print, but multiple variations of leopard. This sneaker is available now through Kicks Lab. 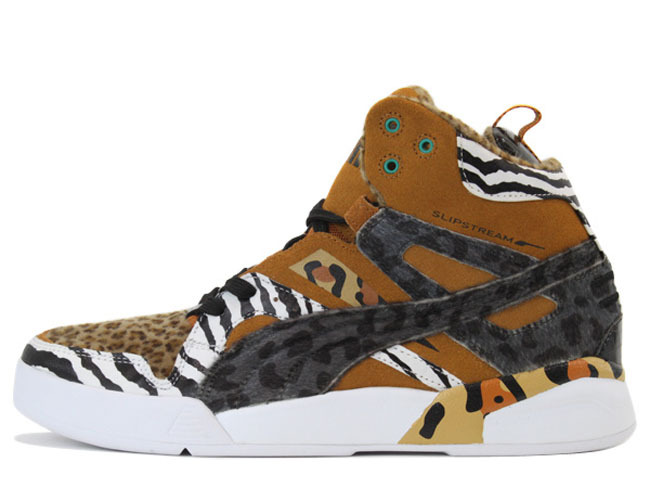 Does this sneaker have enough prints for you? Too many? Or just enough?